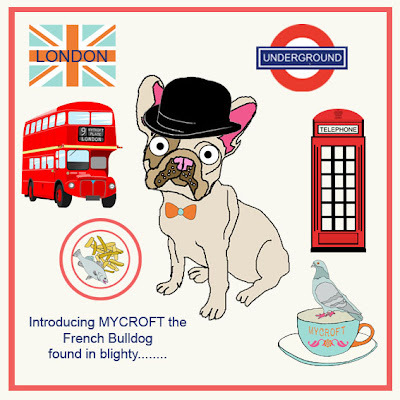 I know I've been M.I.A for a while but I've been busy tracking down one of my long lost friends and guess what I've found him........ His name is Mycroft he's a French Bulldog and I found him in good old "Blighty" London to be precise. I've only been here a couple of days but we are having so much fun! I've visited Buckingham Palace, the National Gallery and Hyde Park so far but Mycroft has much more sight seeing planned. Well I better be off as I have lots of exciting things to see and do so I'll see you guys later and keep checking back for more gossip about what me and Mycroft are getting up to.